Princeton Dakota Series 6300 Synthetic Hair Brushes have long handles for maximum control, and synthetic bristles with excellent stiffness, snap, and shape retention. 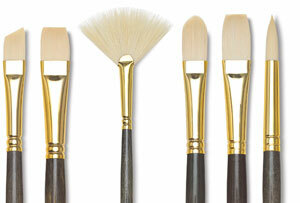 Easier to clean than natural bristle brushes, they are recommended for use with heavier paints. 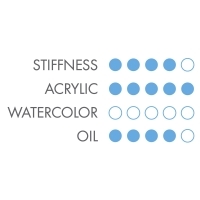 Used for blending and figurative work, these top-grade synthetic fibers hold and absorb more paint and stand up to heavy-body acrylics and watersoluble oils. 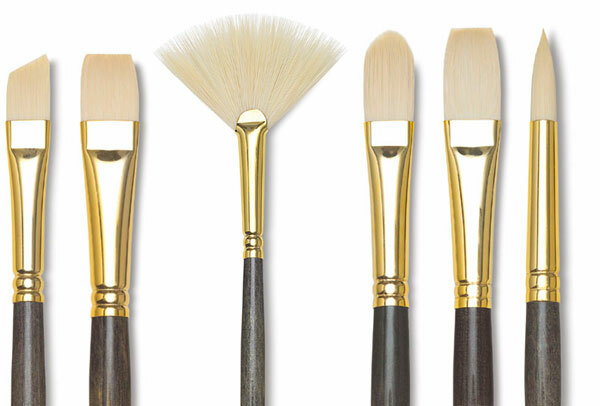 Each brush features a rich, distinctive gold ferrule and black lacquered wood handle. 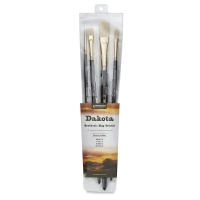 Dakota Synthetic Hog Bristle Brushes, Set of 4 — This set includes one each of Bright 6, Flat 10, Filbert 4, and Round 2, all with long handles. 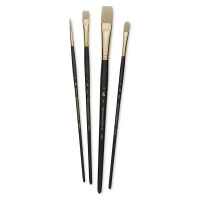 The industry standard, Dakota brushes have synthetic hog bristles that excel with oil and acrylic paints. Stiffer hair provides excellent control and placement of color.